On this trip, I received a somewhat less profound, albeit still highly valuable reminder about marketing in today’s turbulent times and shifting winds: focus on your goals, not just your tactics. Here’s how the lesson came about (no pun intended, for you sailors): Attempting to trim the sails on the boat “just right,” the three of us became manically focused on the “telltales.” Telltales are lengths of yarn attached to sails that, as their name implies, provide helpful signs to the sailors about how the wind is blowing vis-a-vis their sails. if the telltales aren’t blowing straight back, it’s an indication that the sailors aren’t making maximum use of the wind. Well, we three were ALL about making those telltales blow straight back! We pulled in the sheets to tighten the jib, and its outer tell-tales obediently jutted straight back. But then the inner telltales went limp. So we adjusted the blocks on the fairleads, firming up the inner telltales, but the outer ones slackened a bit again. In the meantime, we also were trying to fix the less-than-perfect telltales on the mainsail, tinkering alternately with the vang the mainsheet, the traveler, and probably even the outhaul. This went on too long. It felt like we were chasing our tails as much as the telltales. Thankfully, my voice of reason began shouting, startling me out of my telltale trance to discover that, no only were we three spending all our time looking up at the sails, and not out at the expanse of ocean around us, but more to the point, all the tactical maneuvering wasn’t actually helping us accomplish our real goal: to increase our speed of travel. The boat’s instruments showed we were losing speed. We had gotten so caught up in optimizing for this one tactic of monitoring our sailing, that we lost sight of the bigger picture. 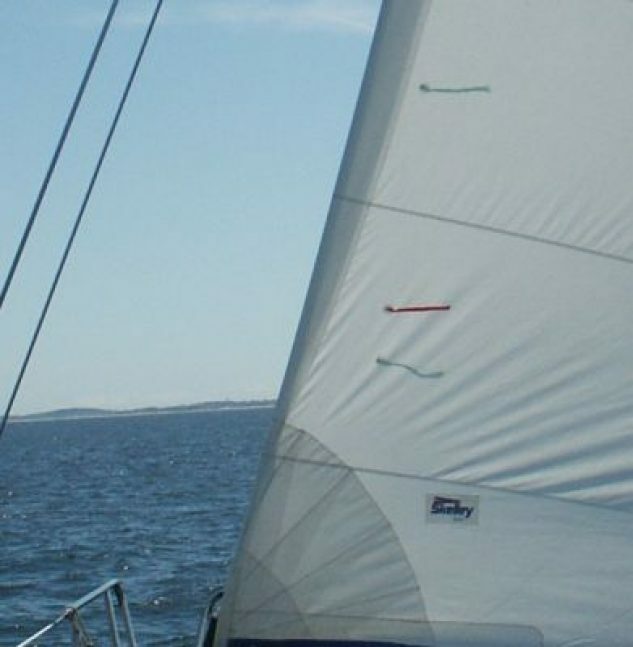 Once we started refocusing on the movement of the boat vs the fluttering of strings as our goal, we addressed all the various elements that come into play when one is commanding a sailboat. And, yes, our speed picked up! It’s like this in marketing. We marketers get caught in tunnel-vision views of what we’re doing: have we fully optimized the headline for that email? Have we posted enough tweets? Have we gotten the most number of clicks on our landing page possible? Are we issuing enough press releases? Are we using the best keywords? The rapid proliferation of new marketing tactics, tools, and media are further distracting us away from what matters and narrowing our sights on all the new shiny things. I’m not suggesting that marketers not strive to achieve the very best performance in each element of the marketing mix they manage. Tactical excellence is ideal, but I’ve witnessed that this can lead to lots of great “micro” performances, at the expense of excellent “macro” performance. Step back to see whether you and your team have lost sight of your big goals (the ones the CEO is counting on you for) in the quagmire of tactics. Does all your marketing activity cumulatively advance your ultimate end goal of bringing value to your customers and business to your companies? P.S. To avoid the risk of insulting my dad or son, I’d like to point out that they are both excellent sailors with nearly 40 years of experience between them (my son, at age 13, obviously not having the lion’s share of that number). This just underscores that even the pros, just like the pros in marketing, get caught up from time to time in tactical distraction. Keep your eye on your marketing compass so you stick to your True North.